Much of Aboud�s working life has been spent in international development, focusing on gender, climate change and food security. She observed elections in Kosovo, Macedonia and Ukraine during the Orange Revolution, collaborated with forest and mountain communities in India and Colombia, worked on briefing papers in Bangladesh and pulled pints in Peru. She now lives in Brighton, where she is working on a novel and a screenplay. The winner of The Jabberwock Review�s Nancy D. Hargrove Editors� Prize for Fiction and the recipient of a Writing By Writers fellowship, Faith�s short stories have appeared or are forthcoming in The Jabberwock Review, Calliope, and Open Windows III. She lives in Sacramento, California with her husband, two young sons and two unscrupulous dogs. Owen Booth�s short stories have appeared in The White Review, Gorse, Hotel, Spur and 3AM Magazine, among others. He won the 2015 White Review Short Story Prize. He is currently finishing a comic/experimental novel but doesn�t want to jinx it. Nikki McWatters, who is from Australia, has worked in television acting and drama teaching, and also holds a law degree, but her writing career took off when her memoir, One Way Or Another: The Girl Who Loved Rock Stars, was shortlisted for a Queensland Premier�s Literary Award. Her new young adult novel set in Europe during the witch hunts, is being released in November, and she�s currently writing a novel set in Ireland. Sheila Armstrong is a writer and editor. She grew up in the west of Ireland and is now based in Dublin. She has been published in The South Circular, Literary Orphans, The Irish Independent, Litro magazine and gorse. In 2015, she was nominated for a Hennessy Award in the First Fiction category, and she contributed to Young Irelanders, a short story collection published by New Island Books. She is currently working on her first collection of short fiction. Kelly McCaughrain is 38 and lives in Belfast. She was shortlisted for the Times/Chickenhouse Children�s Fiction Prize 2013 and her first YA novel, Flying Tips for Flightless Birds, will be published by Walker Books next year. When she�s not writing, she works as a student note taker, volunteers with the Fighting Words Belfast creative writing project, and takes long holidays in her 1967 classic campervan, Gerda, with her 1977 classic husband, Michael. She recently completed an English and Creative Writing Degree at Queens University Belfast. This is her first publication. Marc Phillips won the Fish Short Story Prize in 2004. His first novel, The Legend of Sander Grant (Telegram Books 2009), seemed to please some people. He walked away from writing to make the mistakes necessary for new stories. He�s back now. Paul Lenehan, from Dublin, was twice shortlisted for the Hennessy/Sunday Tribune short story award, and received an MA in Creative Writing from the University of Glamorgan (now University of South Wales). December Swimmers was shortlisted for the Irish Short Story of the Year 2015. Richard Newton was born in the UK in 1967 and grew up in Africa. He became a full-time travel writer in 1989, contributing to The Daily Telegraph, The Times, The Sunday Times, and The Guardian, and broadcasting for BBC Radio 4. Since 2003, he has been a columnist and feature writer for the American magazine Global Traveler. His short stories have won prizes in both the United States and the UK. Wendy Riley, Gerard McKeown, Laura Morgan and Sean Lusk. Mandy Beaumont is an Australian-based writer who has a Research Masters in Creative Writing and teaches creative writing at Griffith University. She was the poet in residence at the State Library of Queensland and has been published widely. She has just finished writing her first novel and hopes to publish this soon. Charlotte Bondy is 24 years old and from Toronto. She has spent the last year living in Dublin, completing an M. Phil in Creative Writing at Trinity College and has just returned to Canada. June worked as a journalist in Ireland and the UK for many years. She was shortlisted twice for the RT� Guide/Penguin Short Story Competition and is an award-winning blogger. 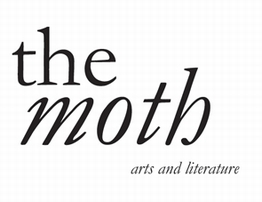 Her work has been published in The Moth, The Stinging Fly, Literary Orphans, RT� Ten and Popshot as well as a non-fiction biography of a Trouble�s moll with Gill and MacMillan in 2006. Sharon Boyle, Tim Harding and Hilary Fannin. Meadhbh is from Galway. She is 24 years old and the author of two award-winning Irish language books for young people, Rua andF�inne F� F�f�. She is currently enrolled on the MA in Creative Writing at the University of East Anglia, and is working on a short story collection based in Belfast, giving voice to those who are marginalised. Rob is 25 and from Norwich. He is a recent graduate of the UEA creative writing programme and has been shortlisted for the Bristol Short Story Prize. Last year he won first prize in the Nottingham Short Story competition. He is currently working on a novel.